Science, Technology, Engineering and Mathematics or ‘STEM’, commonly refers to the academic prowess of the four fields and is usually used to refer to curriculum choices in schools to improve competitiveness and knowledge in science and technology development. 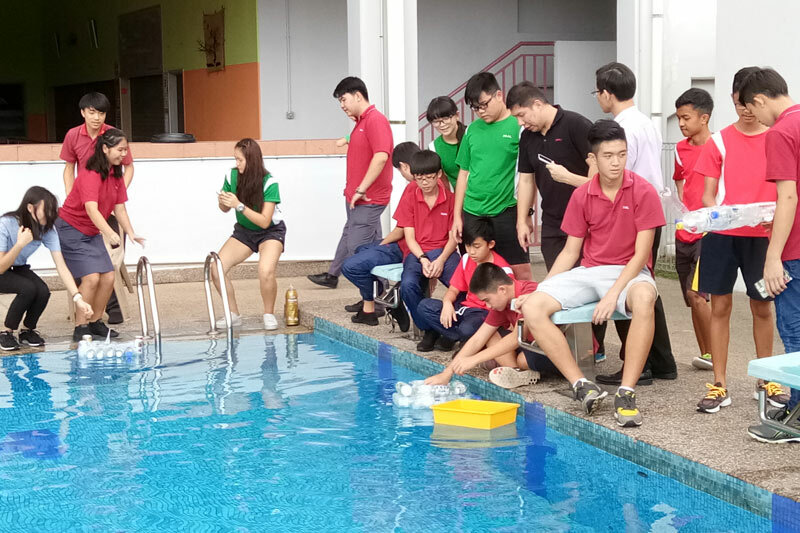 With this in mind, R.E.A.L International School, Johor Bahru Campus organized a day-long STEM workshop in May to enhance students’ understanding of science through active learning. 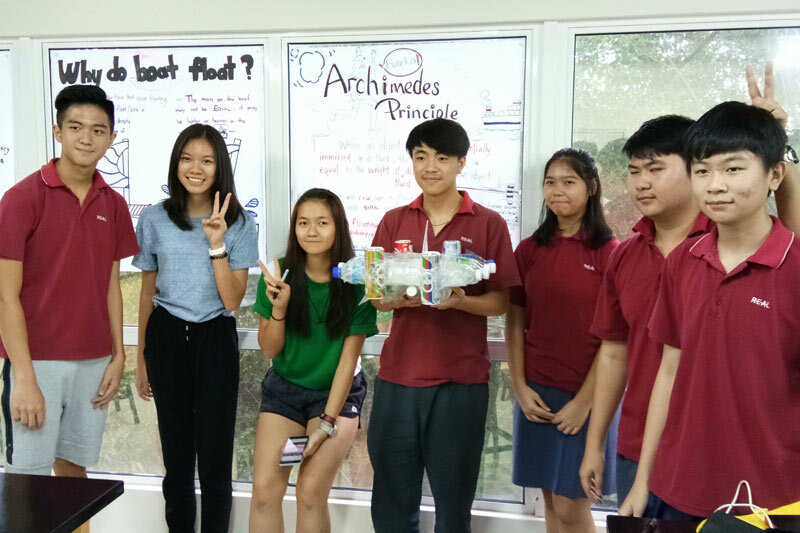 Designed by three teachers for students from Year 7 to 10, the workshop featured three interconnected classes with either a specific science, engineering or pedagogical theme; with a focus on buoyancy and the theory of floating objects. I feel that the workshop was a new and innovative way to learn. The hands-on activity allowed me to understand the topic better. Buoyancy, in scientific terms, is an upward force exerted by a fluid that opposes the weight of an immersed object. The Archimedes Principle states that the downward force exerted by an object is equivalent to the weight of liquid displaced by the object. This is what allows even the heaviest of ships to float on water. Sticking to this theme, the workshop focused heavily on student-centered activities where instead of teaching theories, students were given case studies to explore. They later had to present their findings in order to solve given problems. The learning emphasized on an interrogative approach in which students traced information, theories and explanations on the Internet based on their respective case studies. They then used existing ideas to create their own makeshift models made out of recyclable materials. 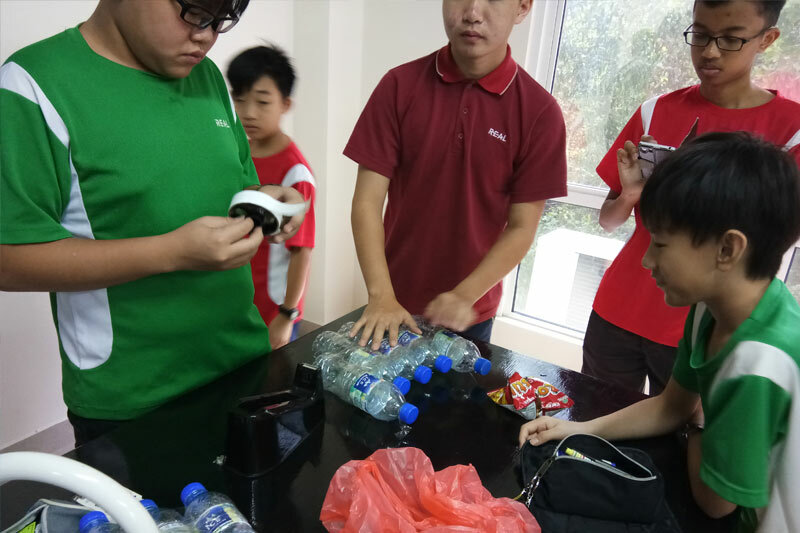 According to Year 10 student Vanessa Lai Shu Juan, “I feel that the workshop was a new and innovative way to learn. The hands-on activity allowed me to understand the topic better. The usage of phones in classrooms also allows us to advance towards 21st century education”. All in all, the students expressed their excitement during the workshop and were already looking forward to attending more in the future. There is a Chinese proverb that says, “Travelling thousands of miles is better than reading thousands of books”. When you travel, you meet different kinds of people from different places. You also learn and experience their unique culture when you spend time with the locals. 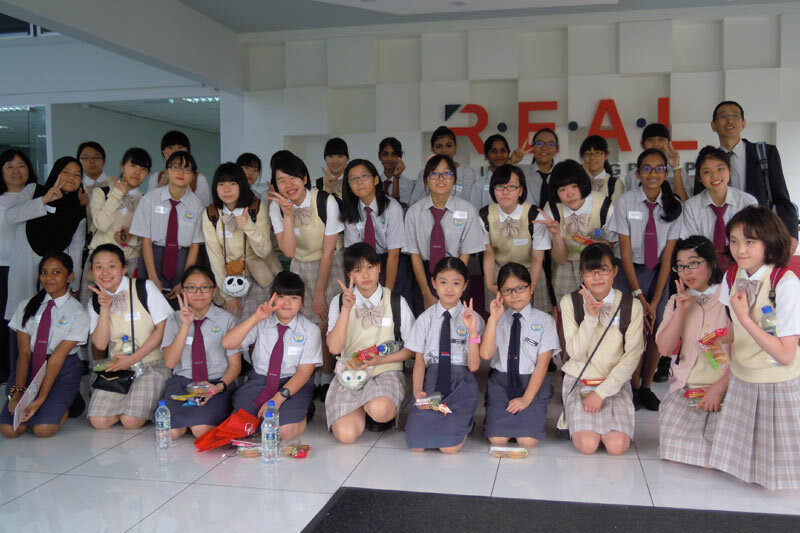 In view of this, on 30 May 2017, 15 students and two teachers from Ono Gakuen Girls’ Senior High School in Tokyo visited R.E.A.L Schools, Johor Bahru Campus. 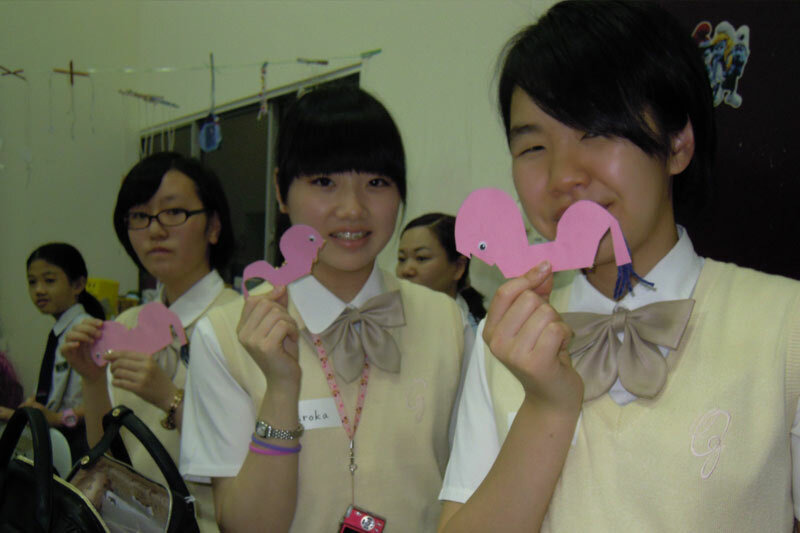 The Japanese students aged 14 to 15 years old were warmly greeted by 17 girls from the campus’ National Upper Primary & Lower Secondary sections, who gladly came back to act as buddies and play hosts to the Japanese students. As a multiracial and multi-ethnic society, one of the best ways to present Malaysia’s rich culture is through our unique traditional dances. 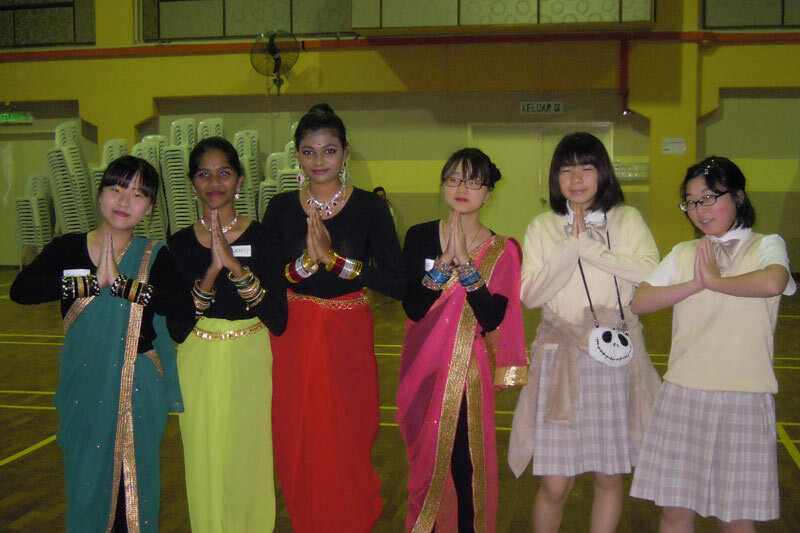 Dressed in traditional costumes, our students performed captivating Malay and Indian dances. The Japanese students reciprocated by entertaining their audience with a Japanese song. 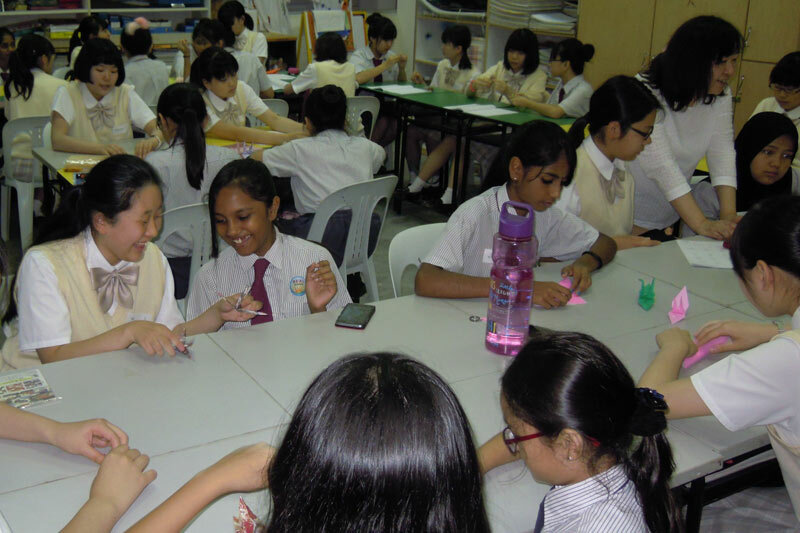 Following this, as part of the cultural exchange programme, the Japanese guests taught our students the art of paper folding or ‘Origami’; while our students showed their newfound Japanese friends how to make a ‘Kuda Kepang’ key chain. The enlightening and enjoyable event ended with a simple tea reception where the visitors were treated to local favorites such as curry puffs and kuih dadar. All the students were happy with the outcome of the event. One of Primary 6 girls mentioned that it was the first time she took part in such an event and is looking forward to more exchange programmes in the future. The post JB Campus’ STEM Workshop & Cultural Exchange Programme appeared first on best international schools in malaysia.